Mar 2019: Lower Sublimation Wholesale Prices! Good news - we've negotiated better pricing to improve your profit margin! As you may be aware our supplier of All Over Print Sublimation products increased their prices at the beginning of the year. We had no choice but to increase our wholesale costs. Thanks so much for our patience as for the past 3 months we have been working behind the scenes to find and integrate an alternative supplier who will provide the same quality and stock for sublimation printing - but at better prices. We have managed to negotiate new prices with our new supplier and are super-chuffed to pass the savings directly to you. Our new rates are reflected in our catalog found here. 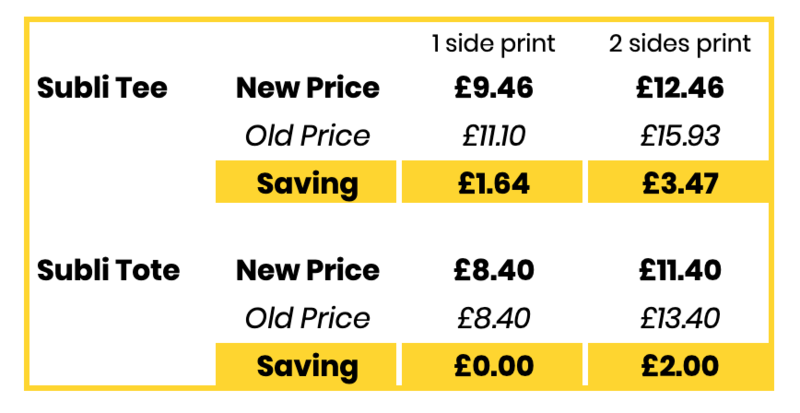 In other ‘good’ news, these will now be printed at the same fulfilment centre where we print DTG T-shirts, Vests, Sweatshirts and Hoodies, so you can benefit from shipping items together for further savings.